Making creamy, delicious ice cream at home is a challenge unless most of the mix is heavy cream. Gelato uses a custard egg base that is time consuming to pasteurize without cooking the eggs, and requires emulsifiers like guar gum to make up for the lower fat content. Avocados have 38% of the fat of heavy cream by weight and only 9% of the saturated fat, yet avocado ice cream tastes creamy and delicious without any heavy cream. Most of the fat in avocados is cholesterol-lowering monounsaturated fat and they're packed with vitamins and minerals. Healthy ice cream is not an oxymoron if it's made with avocados. 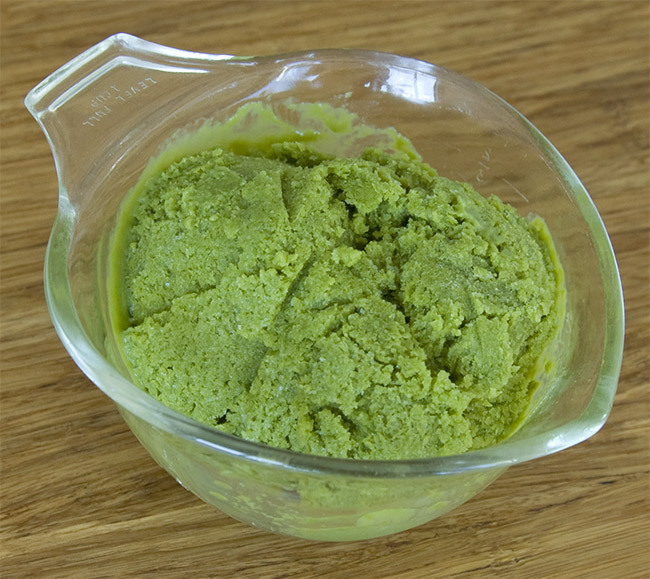 I'm a big fan of Matcha Green Tea, and the color and flavors of green tea pair nicely in this ice cream. Place metal mixing bowl in the freezer 1 hour before starting or follow your ice cream maker's instructions. 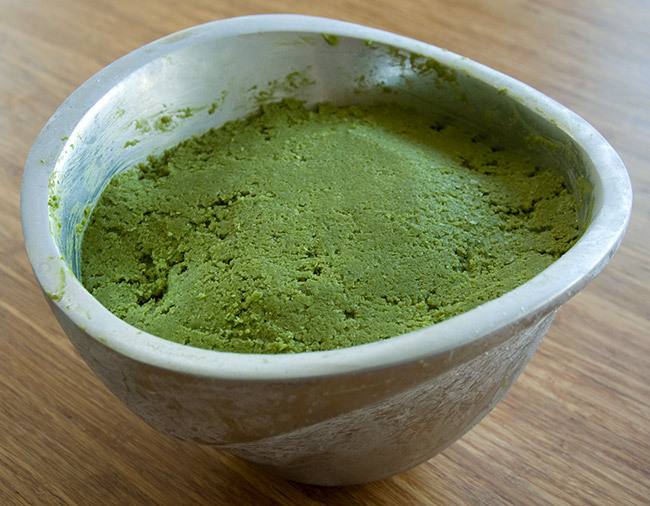 Mix matcha green tea powder into lemon juice with a bamboo whisk (chasen) to break up any clumps. Pour into blender/food processor. Remove skin and seeds from avocados and place in blender/food processor, then blend until lemon juice is mixed with avocado. 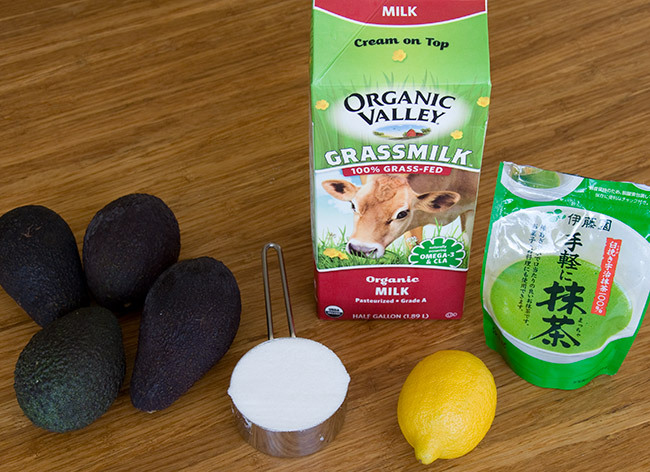 You want the lemon to keep the avocado's color without curdling the milk. Pour sugar and milk into blender/food processor and blend until completely mixed. You may need to use a knife to free avocado stuck to the sides of the blender/food processor so it blends. The milk will lighten the color a bit so any darker spots will require more blending time. Chill in the fridge for 30 minutes, then blend again and pour into the frozen metal mixing bowl (or your ice cream maker). Cover with saran wrap or aluminum foil to minimize airflow. After 2-3 hours, enjoy refreshing ice cream!